Interview with David Moore from As We Walk!!! Today i bring to you a interview from the screamer of As We Walk David Moore. TM: How did As We Walk come to be a band? Moore: When my mother passed away in 2011. Curtis Martin (Guitar/Synth) came up with the idea to write a song and try and cheer me up. Curtis wrote the instrumentals and I found some peace of mind through screaming. Then we decided that we really enjoyed it so we gathered our other best bro Mikey (bass) and together we formed As We Walk. TM: How is life juggling a band and the military? Moore: It is extremely difficult. For the better part of 2013 the band was separated due to deployments. After a year or so we were finally able to get back together to start writing again. It has been hard with all the moving parts, and with two of the band members being married and one of them with kids. But we try to set as much time apart for music as possible and we do intend to continue with writing after the Marine corps. TM: Tell me about your EP “Crossover” and your new music?. Moore: The Crossover Ep covers alot of the feelings we have about leaving the Marine Corps and trying to make something with our music. It was the first taste of the band and also a period of discovery that we all went through to try and find writing the EP, however we also believe that this next album is going to be alot closer to the sound that we wanted in the beginning but were too inexperienced to actually achieve it. TM: Tell me about recording your new song Thicker than Water featuring Ryan Kirby? Moore: As much as we would have loved to have Ryan Kirby with us physically in the studio it made more sense (financially) to have him record his vocals at his studio and then send them over to us to add into the song. I think he did an awesome job, I just sent him the meaning of the song he took our home demo and went to town. He wrote all of his own lyrics for his part which I think way out did my own haha. But all in all I think it gave the song that little extra push it needed to sound as good as it does, in my opinon. TM: How is having two singers in the band? Moore: I think it works out for us. I would say most awakward part of having two vocalists is playing live shows and one of us is singing/ screaming and the other is just chilling or rocking out haha. I think Nick brings alot of talent to the band and appeals to a entirely different fan base than my vocals do. TM: Do you have any upcoming shows or tours? Moore: With everyone nearing the end of their time in the military, we are actually more preoccupied than ever. Unfortunately we don’t have any scheduled shows or tours but hopefully here in the next 6 – 8 months we can finally meet back up on the civilian side of things and set some tours up., even if we don’t get picked up by a label anytime soon touring is something that we are all very interested in so just keep an ear out for us! TM: What influences do you look up to the most? Moore: Well me personally, I’m a total Of Mice and Men fanboy, complete with the rib tattoo and everything haha. But I know that the band pulls inspiration from a variety of a different bands out there. Memphis May Fire, Bring Me The Horizon, Erra, The Ongoing Concept, Fit For A King, Miss Fortune just to name a few. But the list goes on and on. TM: What superhero would you be? Moore: Not Superman because that dude is just way overpowered haha. I would probably be Batman, because he is my favorite character to fight with in Injustice. TM:What genre would you put As We Walk into? Moore: Metalcore, hands down. I know there is a love hate relationship with that genre but i would be lying if i tried to classify it as anything else. TM: Why should people check you guys out? Moore: Because why I dont think we have our own sound, hence the whole genre thing, I do think we have a interesting sound. We do try to sound unique in our own way, whether that is though our lyrics, synth, or vocals. We put alot of time and effort, sacrificing family time and sleep, even with the insane schedules we all have at work to bring something even just a little different to the table. So our fans responses are the only thing that makes any of it worth it. Especially since we are not a signed band, and we cant tour at the moment, that means literally ALL of our drive to work on music comes from the fans that we do have. 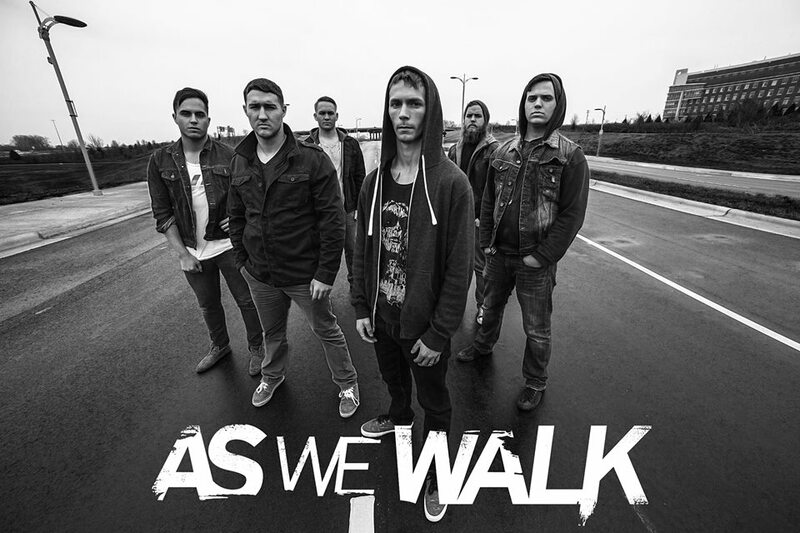 I want thank David and the guys from As We Walk for the interview and there service and can’t wait to hear new music from them and hope see them on the road soon, Peace!! 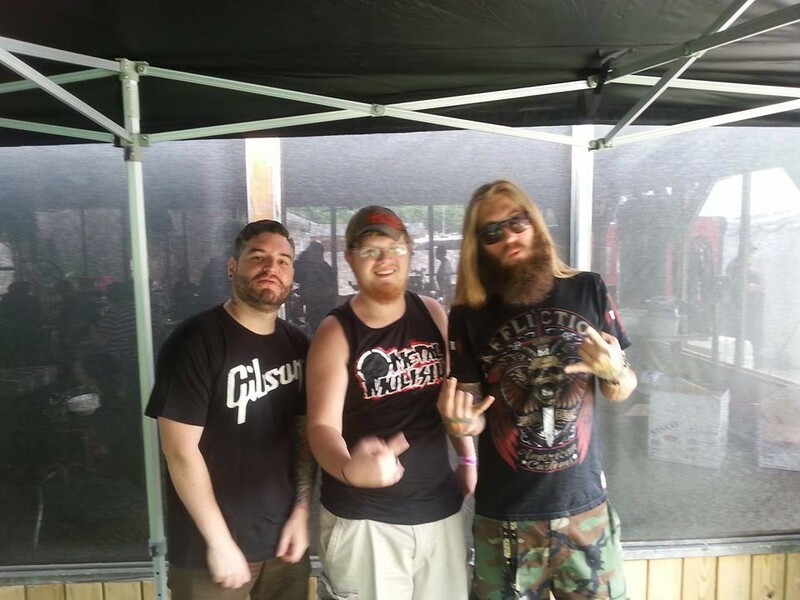 Interview with Justin Olmstead from Righteous Vendetta!!! Tonight I talked To Justin from Righteous Vendetta!!! TM: Tell me about your album The Fire Inside? Justin: Our album ” The Fire Inside” is our 3rd full- length record that we released October 2013. It was our first full length in our new , more radio-friendly sound. Most of the songs are re-released from our EP and singles released through our transition period, but all of them re-recorded and remastered. This record was recorded and produced by our go-to guy Joel Wanasekas JTW Studios just outside of Milwaukee. We are very excited on the new direction we opened up with this record. We feel it is the product of our improvement in all aspects of our songwriting and playing over the years and it is the first time we feel like we have a full release of solid songs all the way through. It is a combination of heavy, groovy, melodic, and catchy, which was our goal from the start. TM: Where did the name Righteous Vendetta come from? Justin: We actually get asked this question alot, and most of the time people are let down by the answer. The name Righteous Vendetta was chosen strictly with marketing in mind. We typed it into a Google Search and nothing popped up, and we made sure to avoid the cliche words that every band uses so we could stand out in the list of groups. 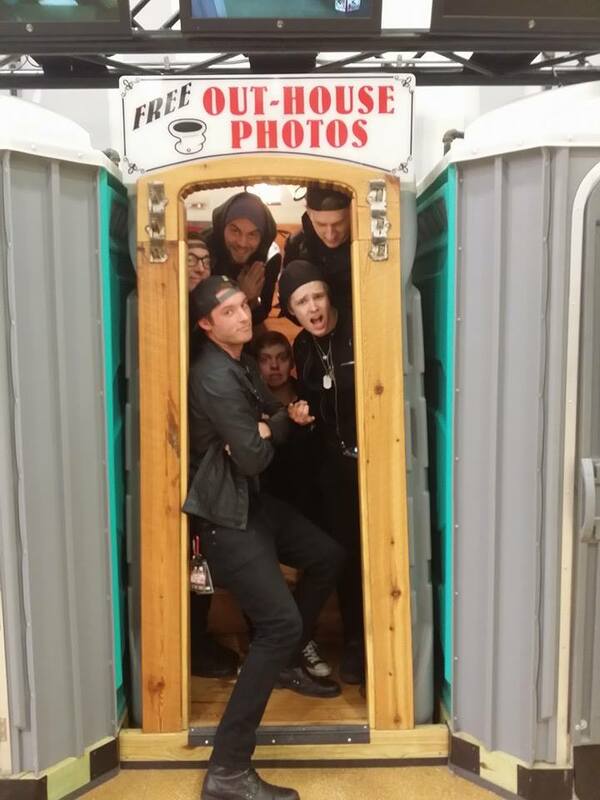 TM: Who are some bands that were your favorite to tour with? Justin: Our favorite bands we have toured with have been Spoken and Hed PE. Spoken was the band that took us under their wing from the beginning and took us to Europe. We owe most of our early forms of success to the band and their vocalist Matt Baird. Hed Pe, they were a band that we were not sure about. We were watching videos and we were convinced they were going to absolutely hate us. We couldn’t have been more wrong. They were some of the nicest dudes we have ever had the chance to share the stage with, not to mention some of the most talented. It was awesome hearing their stories and playing for their diverse crowds. It was a blast! TM: On April 11th you will be coming to my hometown to play at the copper house grill how excited are you for that? Justin We can’t wait! We haven’t been in the area for a while, so it will be great to throw down with you guys!! TM: In the zombie Apocalypse what would be the weapon you would use? Justin: Even though i would like to say I would use a crossbow like ol’ Daryl and just be a straight up bad A, I would have to go with a chainsaw. Nothing more efficient than bustin’ up zombie skulls with a rotating chain. Or a tank. Justin: My favorite song to play live is ” Defiance” It’s the opening track to our record and it is very easy for the crowd to catch onto, so by the end they are bouncing a singing along. It is also a pretty easy song to play, so we can focus on interacting with the crowd rather than focusing on what we are playing, which is always a plus. TM: What do you do in your spare time when your not touring? Justin: With the very little time we are home, we like to be outdoors fishing, jet-skiing, camping, etc. We also play a ton of video games, but we do that on tour too so that does’t count. TM: Who are your influences? Justin: Our influences as a band are Killswitch Engage, In Flames, Spoken, and Alter Bridge. I am also heavily influenced by Richie Kotzen and Alex Hutchings. TM: What is a band or artist you listen to that you would be embarrassed for people to know? Justin: We literally have no shame about the music we listen to. The ones that would probably surprise the most people is that I have every CD Brad Paisley and Taylor Swift has put out. But I am completely proud of it. TM: For people that don’t know you why should they check you out? Justin: We strive to make every aspect of our band exciting. From our record to our live show, we work hard to make people with even the shortest attention spans enjoy themselves with our music. There is a little something for everybody and hope that is is a breath of fresh air for our fans of Alternative Metal. I want to thank Justin and the guys from Righteous Vendetta for the interview and can’t wait to hear the new music and see the shows. Peace. Upcoming interview with Thrown Into Exile be ready for it to get wild!! !